"Wap Bam Boogie" was originally a B-side on the hit single "Get Out Of Your Lazy Bed", but was later released as a double-A side with "Don't Blame It On That Girl". 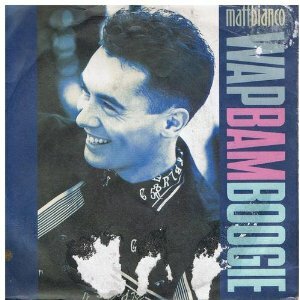 It gave Matt Bianco their biggest-ever hit, reaching #11 in the UK, and this was partly down to the success of "Wap Bam Boogie" in the dance charts. Produced by Gloria Estefan's husband, Emilio Estefan, the two songs featured on the band's third studio album Indigo, which was released in July 1988. Three more tracks were released as singles (although they weren't commercially successful) which were; Good Times (#55), Nervous (this also featured a remix of "Wap Bam Boogie" and reached #59) and Say It's Not Too Late which failed to chart. 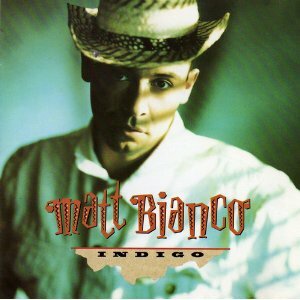 Matt Bianco were attempting to break into America with Indigo. With Emilio Estefan having a hand in producing a number of tracks, some of the album sounded not unlike Miami Sound Machine. There was certainly a more polished, commercial sound and the album was generally more dance-orientated than previous works. Some existing fans were critical of this new style of sound, and believed that the song-writing from band members Mark Reilly (the vocalist) and Mark Fisher (keyboardist and composer) may have suffered slightly. At the same time, the band attracted new fans who were enjoying the more "dancey" feel. Personally, I really like the album and it' full of fun and energy. I see nothing wrong in bringing in a new producer from time to time as this can breathe new life into your music. The critics need to lighten-up and start dancing!